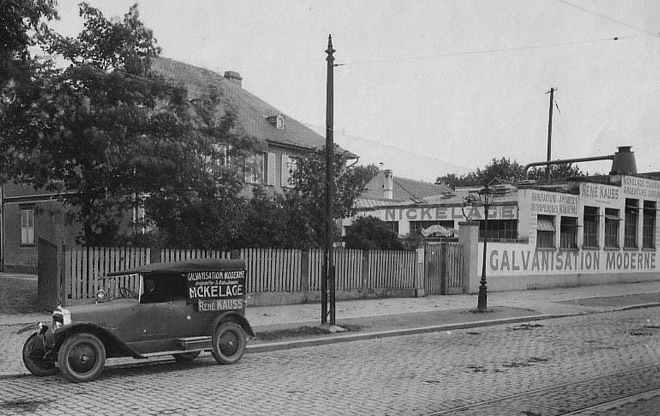 The Company was established in 1919 in Strasbourg and in the beginning mainly focused on its expertise in chromium coating. 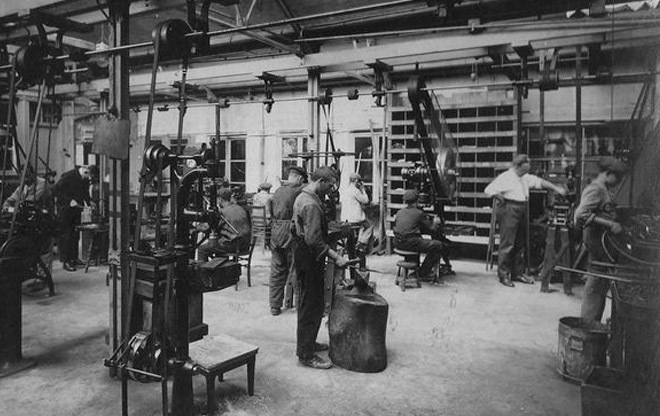 Its customers, including prestigious automobile manufacturers (BUGATTI in Molsheim) and producers of orthopedic equipment, appreciated its industrial precision and technical proficiency. 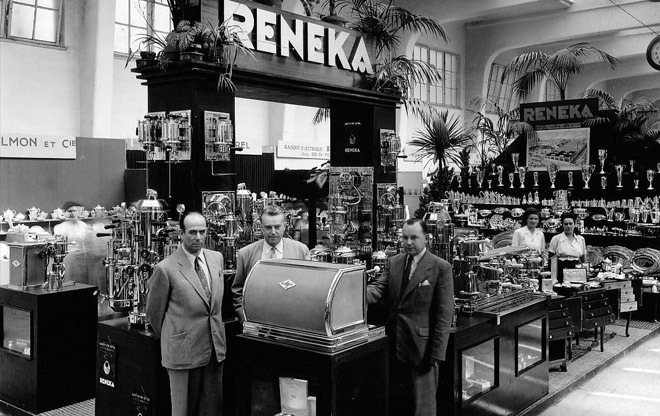 In 1927 the Reneka brand name was created M. René Kauss with the purpose of positioning itself on the silverware market, with its own silverware models designed for the restaurant industry. 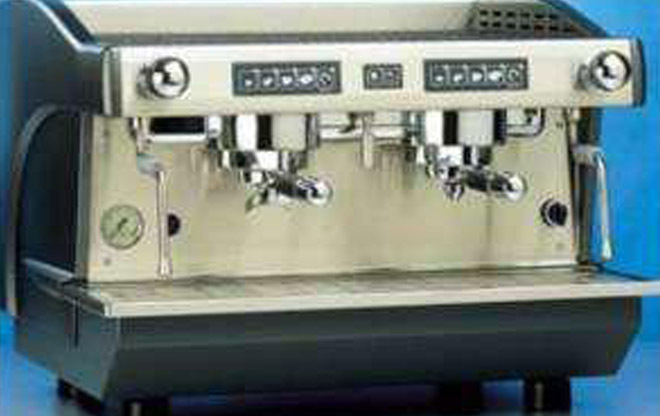 In 1932 the first coffee machine was introduced to the “restaurant” offerings. 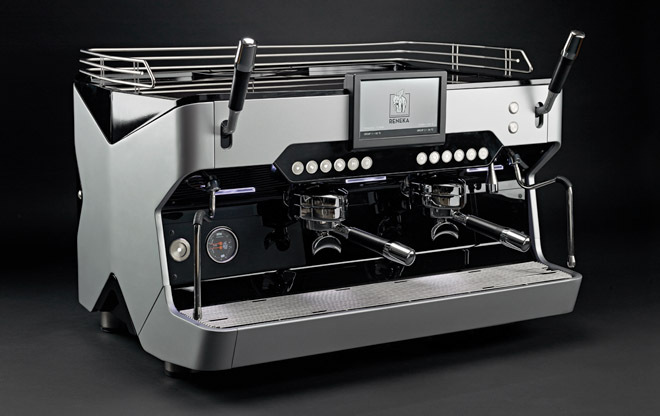 This wall mounted coffee machine, completely made of chrome, was developed based on the idea of a steam percolator. 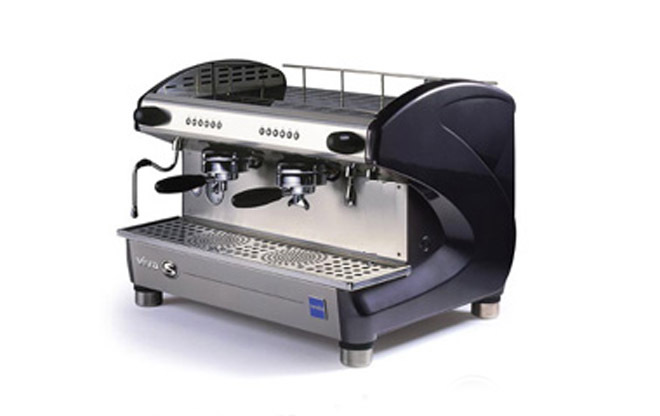 Its design and reliability quickly seduced the professionals. Production which had been halted in 1939, restarted in 1946 and the market now extended throughout France. 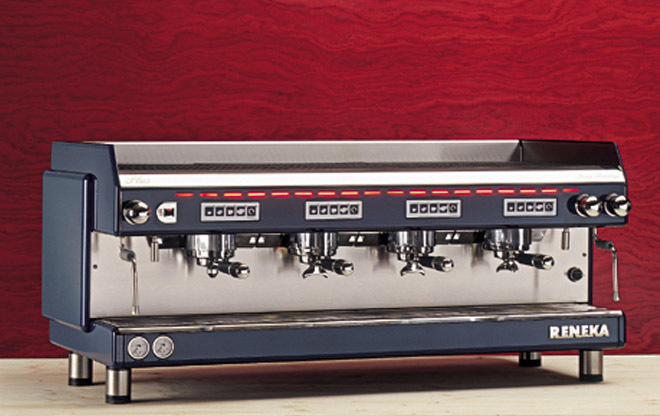 The Major, a small counter-top machine, became a symbol in the café-restaurant world. 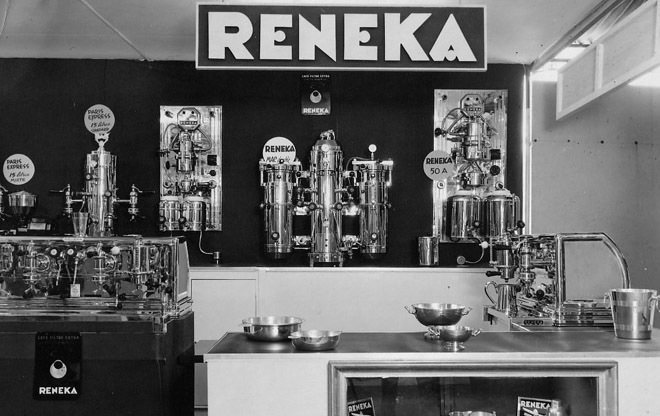 The end of the 1950s Reneka launched the 1-4 group – European range. People were enthused by the convenience of being able to make coffee on individual demand due to the new hydraulic piston system. 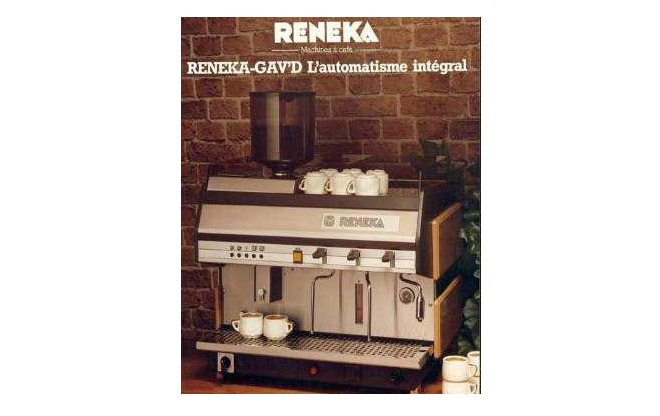 Reneka was exploiting the latest technology to continually create better performing coffee machines. The completely automatic Hydrauto was introduced in 1970. The GAVD, a new traditional automatic machine, and the DV, an all-electronic machine, were launched six years later. 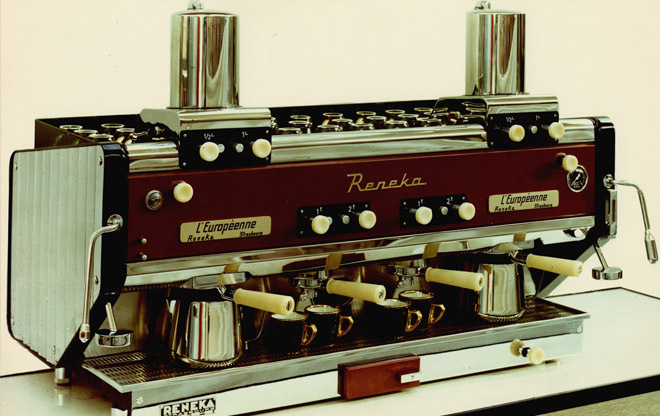 It was one of the first all-electronic coffee machines to appear on the market. The traditional and legendary Plus line was born in 1986. 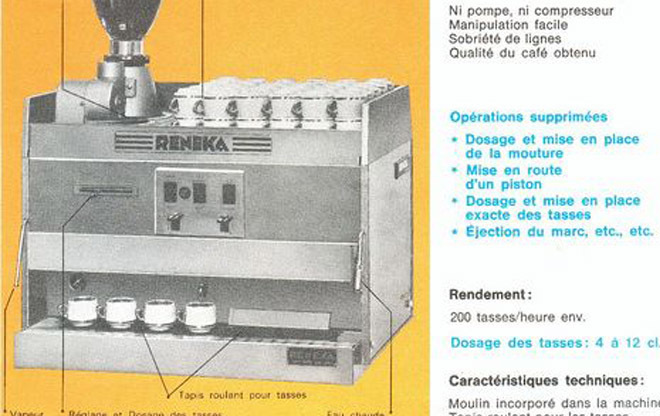 The concept of thermo-regulated injection strongly enforced the reputation of the brand: the quality of the coffee extraction had become consistent and maintenance was reduced to a minimum. Reneka introduces the Viva. The thermo-regulated injection system, which ensures a consistent extraction quality and temperature was greatly improved with this system. The regulation system of the pump and the pressure modulator were completely redesigned and repositioned which made maintenance a lot easier. In 2004 the market unanimously greeted the arrival of the Viva S line. The Reneka thermo-regulated injection system was further improved and direct access to the pump settings and pressure gauge made preventative maintenance easier. As a specialized manufacturer, Reneka sets out to be fully responsive to the market. In fact the corporate culture values customers’ satisfaction as their main priority With its strong presence in Europe, North America, Oceania and Asia, Reneka plays in the big leagues. Life, Life High Cup ranges redefine the limits of technology with the patented Aroma Perfect coffee brewhead (No. 2973994) and the Reneka Micro Sieve ; revolutionary innovative performances for whom perfection is a rule and creativity a constant concern. Experience the new extraction technology.